Y'all know by now how much I love this Free People dress. It was hands down my favorite and best purchase from the Nordstrom Anniversary Sale this year! I am clearly an outfit repeater and I think most of y'all are on that bandwagon, too, so that's why I'm sharing this dress yet again! 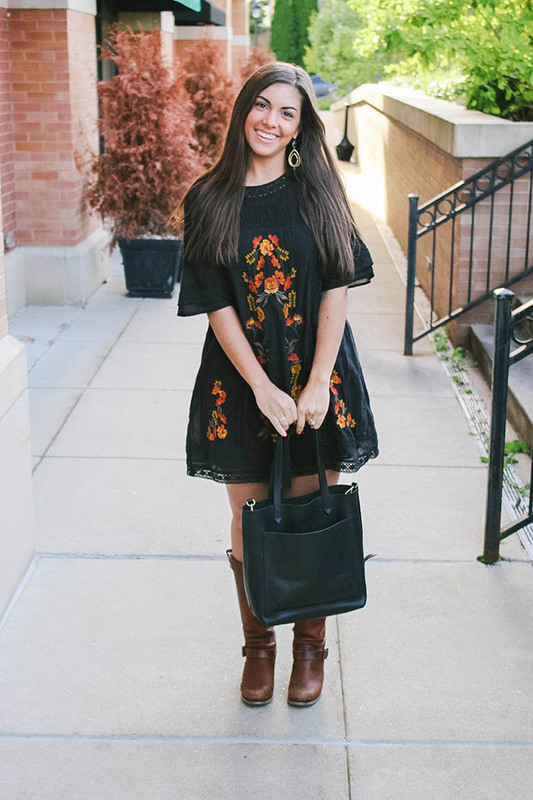 I've shown it styled as a late summer look but today, I'm showing you how I really love to wear this dress... with boots! 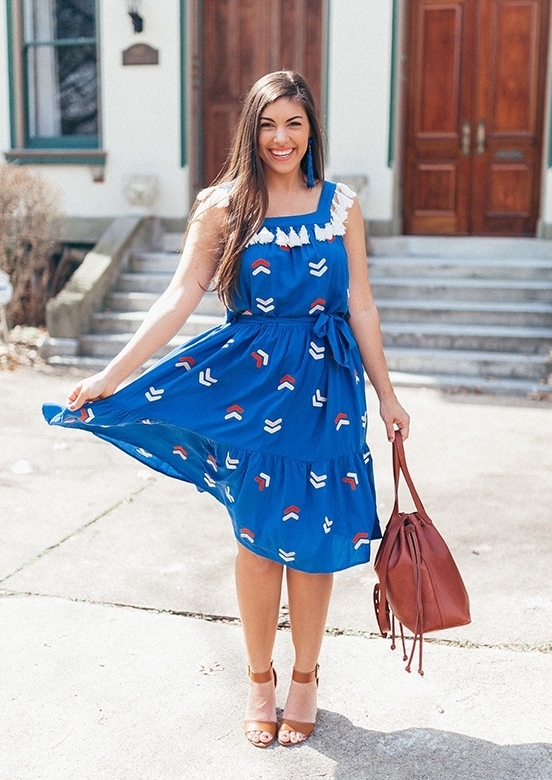 One question I got about this dress from a few of y'all is how to accessorize it! Personally, I think the embroidery and beautiful details of the dress speak for itself and I'm always cautious of adding a necklace or anything too "loud" to a piece like this. So for me, it's always a good pair of earrings, maybe a bracelet, and my favorite go-to bag. 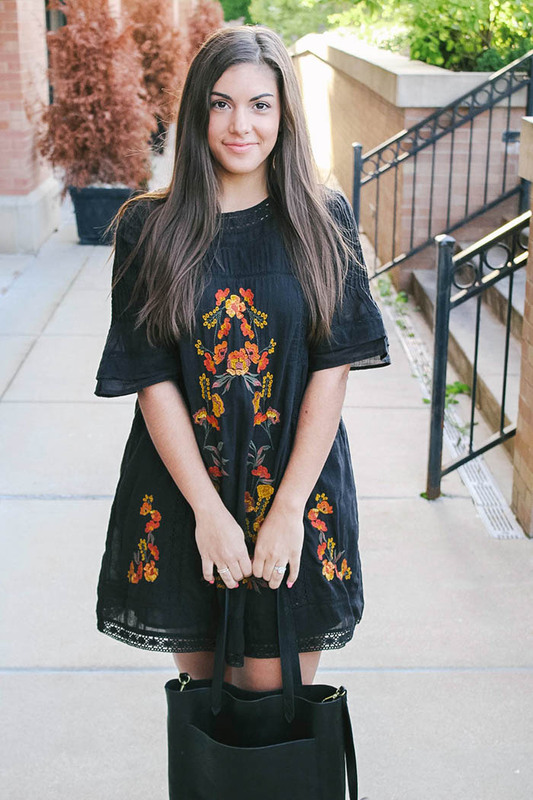 I'm also fully aware that the price of this Free People dress is not cheap (and I wouldn't have purchased it if it hadn't been on major sale!) so I'm also sharing some similar and much more affordable looks for less today! 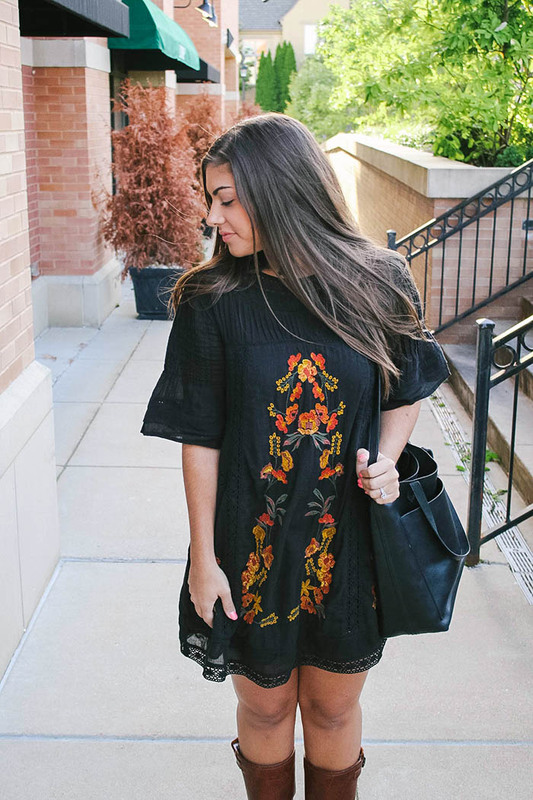 Super excited that the embroidery trend we saw earlier in the year is carrying over into fall styles! It means that I can keep wearing and styling things from spring/summer into fall by just adding some layers and switching up the accessories and shoes. Win-win!